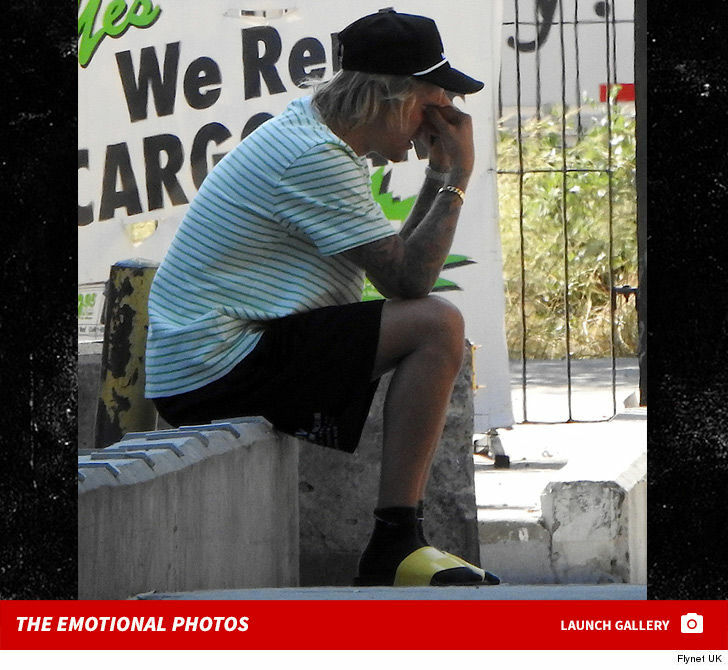 Justin Bieber is catching all the feels after his engagement to Hailey Baldwin, and the question now is — which ones were on display during this phone call? The Biebs was spotted outside his fiancee’s Brooklyn apartment Tuesday — shortly before they hopped in a chopper to visit her mom and dad, Stephen Baldwin. He’s definitely having an emotional reaction to the phone convo, but hard to tell if he’s laughing or crying. Whatever the topic … he does seem kinda stressed by it. We know papa Baldwin’s already given his blessing, so we doubt Justin was anxious about going to hang with his in-laws-to-be. It’s been a whirlwind of an engagement since he popped the question in the Bahamas over the past weekend. Maybe the guy just needed a breather.